Studies show that 50% of caries go undetected by present diagnostic methods. The new KaVo DIAGNOdent aids in diagnosing "hidden" fissure caries more accurately and confidently. Locating hidden decay before it destroys tooth structure (from the inside out) is a big problem in modern dentistry. Most caries occur in the complex anatomy of the occlusal surfaces, making diagnosis with traditional methods difficult, because the outer tooth surface often appears to be intact. The DIAGNOdent is a new high tech laser system. It utilizes laser light of a defined wavelength to help detect and quantify deminerilized tooth substances without x-ray exposure. This revolutionary new device is easy to use and turns caries detection into a harmless, measurable, more reproducable and exacting procedure. We know that most children get very nervous at the mere sight of a needle and syringe. That's why we perform anesthetic injections with a revolutionary system called The WAND. The source of discomfort for most injections isn't the needle, it is the flow of anesthetic into your tissue. The WAND has a computer controlled microprocessor inside that automatically ensures a steady flow rate of anesthetic regardless of tissue density. This results in a more comfortable injection. The WAND is an excellent example of our efforts to bring you the latest dental technology, and to help all of our patients have a pleasant, positive visit to our office. 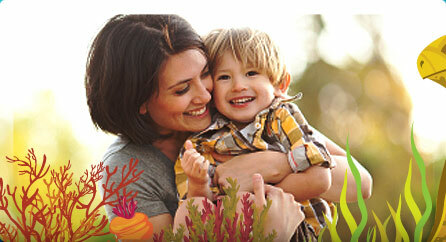 We are now able to provide your child with the latest technology available in dental treatment. 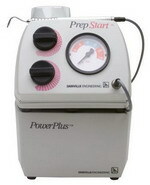 Heat, vibration and pressure are what cause the pain associated with the use of the dental drill. 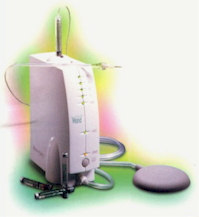 The VersaWave Erbium:YAG laser does not generate heat, vibration or pressure. The use of this technology means that many dental procedures can be performed on our pediatric patients with little or no numbing, less use of the drill and fewer numb lips. 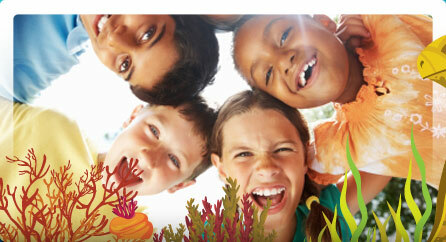 This makes our young patients very happy and eliminates the possibility of biting their lips after treatment. Lasers work by emitting a precise, specialized beam of light that gently targets and destroys dental decay. High speed dental drills can cause hairline cracks and fractures in the teeth that can eventually lead to future dental problems (i.e. fracturing of the tooth). The laser reduces this type of damage to healthy portions of the tooth and minimizes trauma. Cavity preparations done with the VersaWave laser increases the bond strength of tooth colored fillings, resulting in longer lasting restorations. Since most procedures done with the VersaWave laser can be performed without the use of anesthesia, we can treat more areas at each visit. This results in fewer trips to the dentist. treatment of canker sores (apthous ulcers) This can completely eliminate the pain associated with canker sores. A miniature sandblaster, air abrasion allows the early detection of decay because it can be employed to minimally open stained grooves; if the stain opens into decay, the decay can be quickly removed and filled. Using air abrasion to conservatively open pits and grooves not only facilitates early identification of carious lesions (cavity or decay), but ultimately may save healthy tooth structure. The new air abrasion cavity preparation systems allow conservative removal of tooth structure. Air abrasion allows ultraconservative tooth removal and leaves the remaining tooth structure sound, chemically clean and very bondable. It also usually eliminates the need for numbing and/or needles. Dental X-rays are needed as part of any dental examination when the dentist cannot see the areas between the teeth, when a child has received an injury and when evaluating a child's oral growth and development. The dental x-ray is a safe diagnostic tool required to properly complete a dental examination. 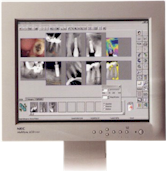 Our office uses the modern technology of digital dental x-rays. These are computer generated x-rays which greatly reduces a child's exposure to radiation. The system also has a powerful collection of enhancement tools which can make the digital x-ray more informative than a traditional x-ray. By eliminating the need to use developer, fixer and cleaning solutions, there are no chemical fluids to be disposed of. This is very good for our environment. Isolation and working in a dry filed are essential when placing a composite (tooth colored) filling. Placing a rubber dam for this purpose often requires numbing of the gum tissue. We have now incorporated the revolutionary new Isolite dryfield illuminator into our office. This streamlined tool isolates both the upper and lower quadrants and retracts the patients cheek and tongue. It also illuminates the inside of the mouth and has a built in suction system to keep the teeth dry and is incredibly comfortable for the patient. This eliminates the need for placement of a rubber dam clamp and the numbing of the gums that this often requires. To help keep the water we use in our office and our water lines free of bacteria, we have installed a whole building point of entry ultra violet water sterilizer. 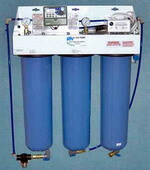 This elaborate UV sterilization and filtration system kills 99.999% of waterborne bacteria and viruses entering the building water supply, according to the manufacturer. This results in bacteria free, superior quality water to all of our operatories. This eliminates water consumption and release of amalgam particles into the drainage system. Both of these are good for our environment. Through a unique design concept, vacuum is created without water consumption using a dual stage turbine which super charges suction power. 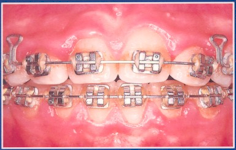 Traditional braces require metal wire or elastic ties to hold the arch wires in place. These may make wearing braces more unattractive and may also make it more difficult to keep your braces clean. In-Ovation has its own "Active Clip" that keeps the wire where it's supposed to be without the use of wire or elastic ties. It's simple and effective. In-Ovation is not only a good looking appliance, it reduces the hygiene problems associated with the ties used on most braces. And because the Active Clip allows shorter appointments and reduced discomfort, you'll enjoy wearing these innovative new brackets more. So now you can spend less time in the dental chair and more time having fun!